KeloScape Fire Consult is an independent Fire & Safety Consultancy offering a cost effective, common sense approach for enabling you to ensure you have a safe place to work and compliance with all statutory requirements. As an independent consultancy you will receive unbiased professional advice and a realistic report. I will work in partnership with you to ensure your building is safe for all persons, your approach and management systems are effective and to agree & identify any cost effective solutions to ensure compliance with fire & safety legislation. Give KeloScape a call for no obligation free advice. Neil is a Graduate of the Institute of Fire Engineers, (GIFireE), is a Member of the Institute of Fire Safety Managers (MIFSM), holds Technician Grade of the Engineering Council (EngTech), holds registration number 0136 on the NAFRAR and is an Associate member of the Chartered Management Institute (ACMI). Neil began his career as an industrial firefighter with ICI. Following restructuring and 22 years’ service, Neil moved to another industry Fire and Safety position and began to gain his professional qualifications. 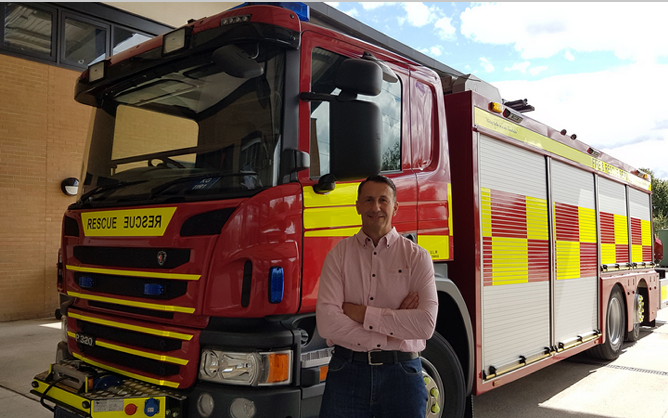 As a local authority fire risk officer and at UWE, Neil had close liaison with Gloucestershire and Avon fire service fire safety officers and local crews that needed to undertake familiarisation visits. Neil then joined the Fire Protection Association (FPA) at the Fire Service College where he led a team to achieve the National Security Inspectorate (NSI) Gold award and BAFE SP205 accreditation for Life Safety Fire Risk Assessment. In June 2014 Neil left to start his own Fire Safety consultancy and KeloScape Fire Consult was born. He has been the awarded CFPA Europe Advanced Diploma in Fire Safety Management and continues to follow a professional development pathway by attending regular IFE mid-western branch events and other fire safety seminars and courses. Neil is DBS (Enhanced) Certificated and also holds the NEBOSH General Certificate and BTEC Certificate in Management.